Prime Minister Narendra Modi will sound the poll bugle in Madhya Pradesh today by addressing a rally in Dhar district. BJP workers, mainly from tribal-dominated Dhar and Ratlam-Jhabua Lok Sabha seats, will take part in the Vijay Sankalp rally. Meanwhile, Congress Party and the Modi-led Bharatiya Janata Party (BJP) continue to trade barbs over air strikes carried out by the Indian Air Force on February 26 by slamming each other. Today, the UDF-Congress combine in Kerala will discuss seat sharing for the upcoming Lok Sabha elections. Karnataka's ruling coalition partners, the Congress and the JD(S), on Monday began the first round of discussions on seat-sharing. The two parties did not reveal the outcome of the meeting. 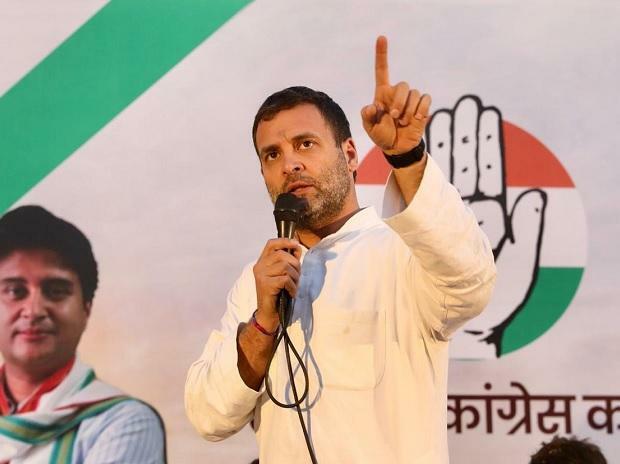 However, Congress state president Dinesh Gundu Rao Rao termed it fruitful while his party insisted that "winnability" would be a criterion for finalising the seat-sharing formula. While the Election Commission of India is yet to disclose General Election 2019 schedule, senior Congress leader Ahmad Patel on Monday courted controversy by questioning ECI on the delay in the announcement of dates. Patel took a jibe at ECI and asked if the chief election body was “waiting” for Prime Minister Narendra Modi to complete his election rallies before announcing the dates for the crucial elections.